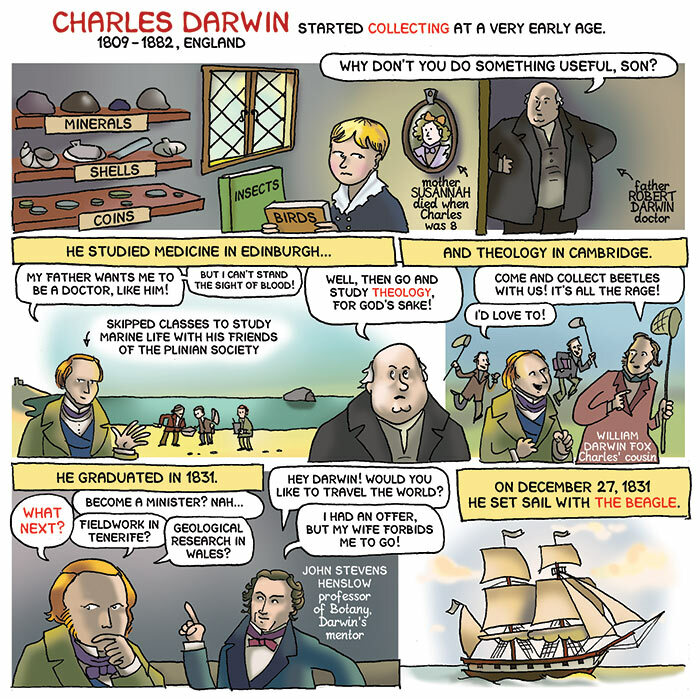 It’s Evolution Day – the anniversary of the publication of Charles Darwin’s book On the Origin of Species! 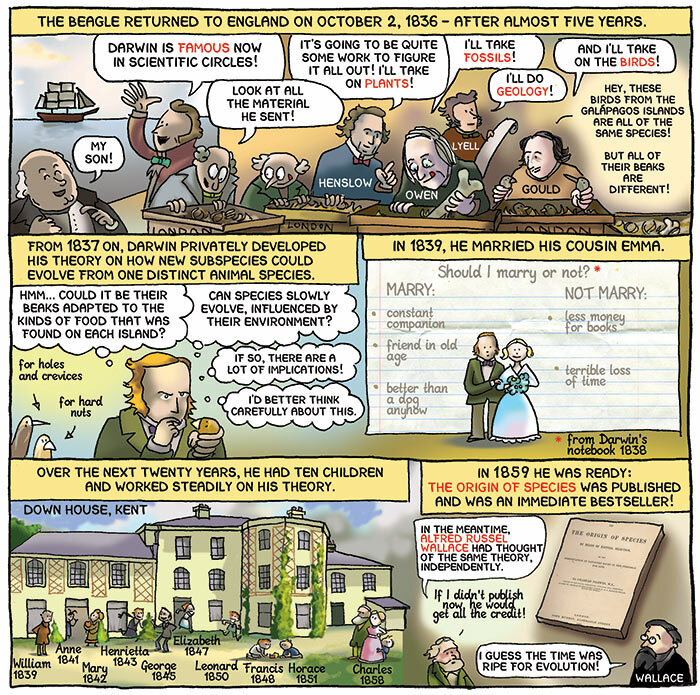 Today, 154 years ago, Darwin’s work finally appeared in print, more than twenty years after he returned from his famous journey with The Beagle. Buy Science: a Discovery in Comics at your nearest comics-/book-store or online!